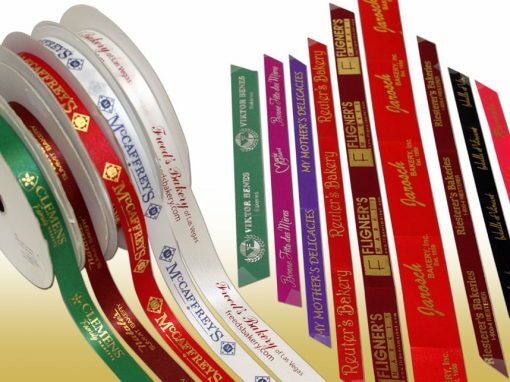 Printed Ribbon - Targit Sales Associates, LLC. 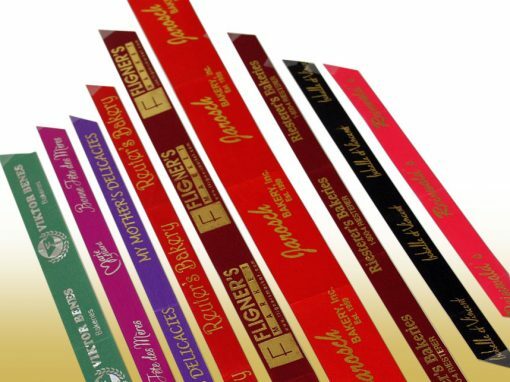 Custom printed ribbon come in a variety of widths and colors. The ribbon is manufactured on 100 yard spools with a minimum of 10 spools or (1000 yards). Printed ribbon is a great way to tie off your cookie trays,and gift baskets, also great for wrapping around boxes and specialty cakes and cookie containers.